Your kitchen is abuzz even in the wee hours of the morning. You are grinding, baking, stewing all at one go. The center of all the action is your humble kitchen and cooking myriad and exotic recipes are all in a day’s work for you. 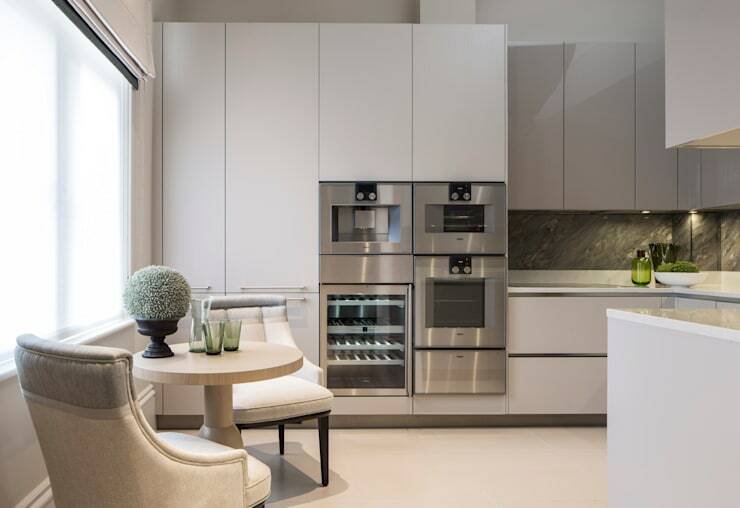 But can you imagine a kitchen where you don’t have the benefits of appliances? What with work and looking after your family your appliances are indeed your best friends. It makes your work with the ladle a whole lot easier and simpler. 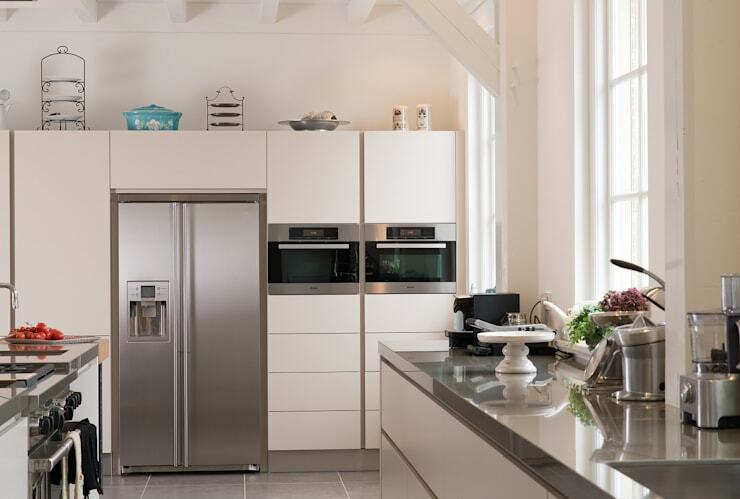 Have you given it a thought of the number of kitchen appliances your kitchen could surely do with? Have you been ever in a situation where you have invited guests over at your house and you are serving drinks when suddenly you find you don’t have much ice left in your refrigerator? Sounds familiar? Well, it happens to most of us when we pack our fridge with ice but still, we don’t seem to have enough. Consider having a fridge with refrigerator and ice-cube maker. Under the counter variety seems like a good investment when you can store up to 4.2 cubic feet of ice. That’s an incredibly huge amount of space enough to keep your meat dairy fish and ice-creams frozen and fresh! 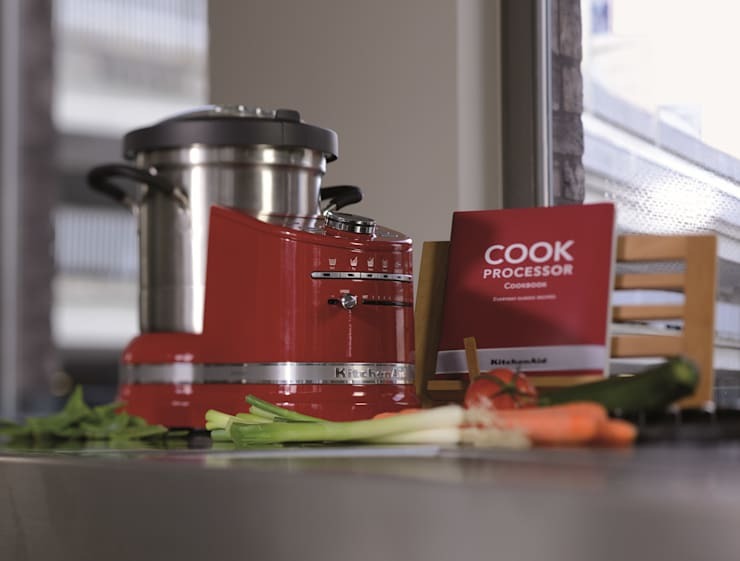 So before you mull over what are the kitchen appliances you are going to keep? Consider a fridge with refrigerator and ice cube maker. You’ll have crease lines disappearing from your forehead! Have you ever fantasised about an appliance where you would put in all the ingredients and lo and behold! Your sumptuous dish would be ready to gobble down?! Well, we all do, to have an appliance which would do all the work and we would sit pretty admiring our fresh manicure. A multifunctional oven comes pretty close to that! You can defrost your food, you can forget about your brownie getting overly brown or the base getting burnt, constant temperature heats the food items evenly and it comes out just perfect! 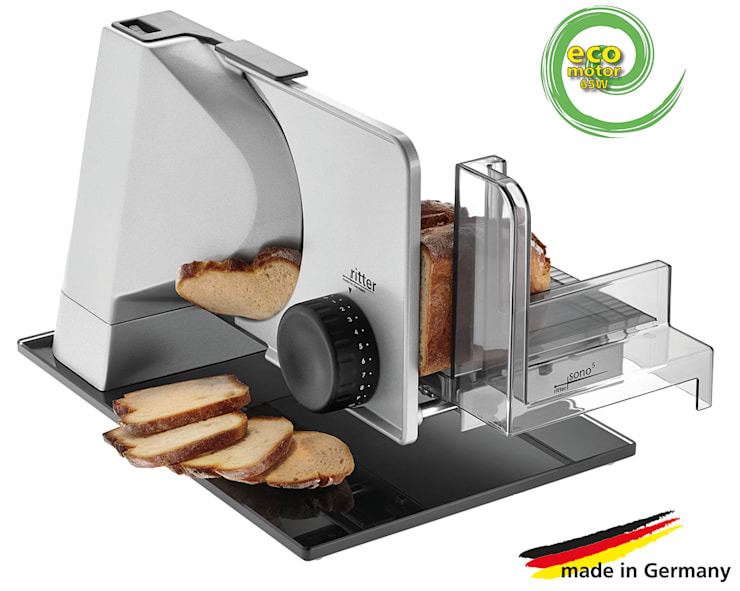 Fan forced cooking ensures you don’t turn your meat too chewy and cakes too rubbery. Succulent meats light pastries accompanied by the heavenly aroma. Also, programmable cooking, even if you forget to switch off the knob you won’t be greeted with burnt and inedible food. Who wouldn’t mind having such a jack of all cooking in your kitchen? Birthdays or anniversaries, the chef hat would surely rest easy on your pretty head! To have a well organised clutter-free kitchen it is important to have a well-organised cutlery drawer to keep your kitchen functional. The various compartment in the drawers can store your cutlery of all shapes and sizes. Keeping them in drawers would mean you could save your time and energy. Your knives forks and plates can be kept neatly arranged so that you can get them as soon as you need them and not wonder where on earth did you keep them? Large drawers can store canisters keeping your spices and dry foods moisture free. A ladle lying on the counter top or a spoon lying carelessly could take away the orderly look of the kitchen so having a well-organised cutlery drawer is one of the must-have kitchen appliances, one you simply cannot ignore. You have transformed your kitchen into a baking haven, cooking is something you really enjoy and you take pride in the fact that you store your food in a hygienic way. Well, do you? Wrapping food stuff with foil can seal in the odour and stops it from spreading across the refrigerator. You can even pack your lunch in foil paper to retain its freshness. Baking your meat or cakes in foil paper protects it from getting too dry. It also helps from keeping it messy so the cooking appliances can be cleaned easily. Foil-cutters are a handy accessory when you are in the habit of using foil so very often. Instead of pulling and tearing cut it off with ease and start using right away with your indispensable foil-cutter. You have an organised kitchen with everything right from cutlery to all appliances in its proper place but you cringe at the sight of your scattered spice jars. You rack your brains hard to find the proper place for your spice jars but can’t think of any? The spices organizer can come to your rescue. If you are longing for bit of uniformity in your kitchen then keep similar sized jars in drawers. Wherever you plan to keep your spices on a magnetic wall-mounted racks or drawers, neatly labeling them can create time and energy efficiency in your kitchen. Find a niche for spices in your kitchen as it adds that much-needed zing to your bland food, it must also find a pride of place in your kitchen. A definite inclusion in your kitchen appliances list. Checkout the compact and multi-functional spice organizer from the house of Maple & Gray. 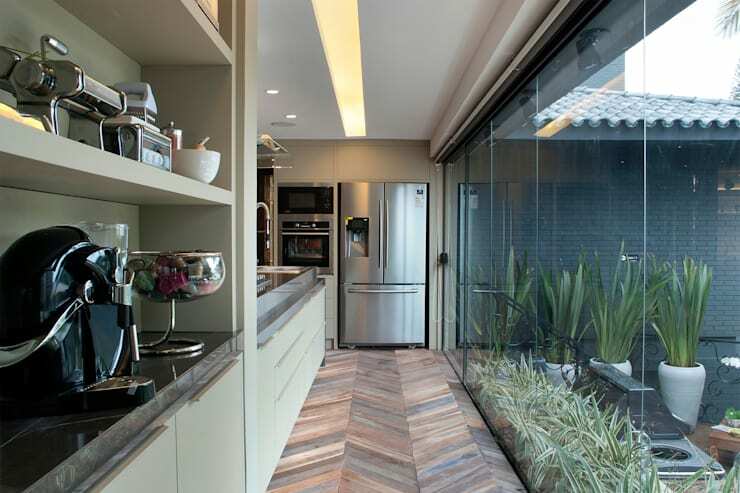 Based in Berkshire, United Kingdom, Maple & Gray are desirable kitchen planners. The aroma of freshly baked bread tantalises your senses doesn’t it? The aroma you especially associate with quaint little bakery shops at little-known streets. The amalgamation of flour cinnamon eggs and a host of other spices which emanates from those shops. If you are a sucker for freshly baked bread look no further and buy one to get the heavenly taste of bread every morning. Some bread- machines have kneading and baking features in them so you have to pick your choice and include one right away. Automating settings make the process a whole lot easier. You are home after a hard day of work if you are feeling like having gingerbread and can’t muster up enough energy to go the whole hog. Just a few click of buttons and your bread machine would grant your wish in a jiffy. Gone are those days when the humble blender can do the trick for you. Well, no longer a modern kitchen must have a food processor to add to its repertoire. Complete with a wet dry and liquidizing jars it can blend, whip kneads according to your whim. Chopping cutting and all the rigorous chores which keep you in the kitchen for hours can be cut short within minutes. So if you whisk eggs or churn tomato puree or even make your healthy kale and avocado juices keep your food processor near you and you would be sorted. A few kitchen hacks make your time spent in the kitchen shorter but more fruitful. Investing in these modern appliances could make your job a whole lot easier. Be the chef you always wanted to be the only catch is minus the sweat and the hassle with these varied kitchen appliances. To update your kitchen read our ideabook Behold! Kitchen technology to update your home.